I think everyone loves a hacker movie occasionally. Cinema is a medium that has always been responsive to the day-to-day innovations and transformations of the world around us. It has successfully managed to cope well with this fact, and blend with them strikingly like no other art form. Computers and related technological developments were a massive leap for the entire humankind. That advancement soon started to reflect in cinema. The science-fiction genre was the one in a way benefitted mostly from this; we saw huge, even substantial changes in the way in which film started being shot. Hacking is one of the latest addition to this advancement. Though, hacking (not the technical one) has been active in film ever since in different modes – even though it did not exist then in the name. 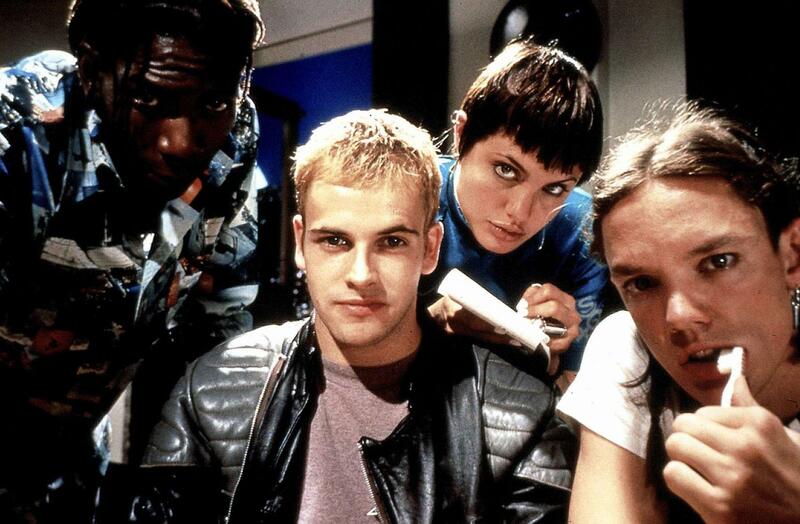 Here, we are going to look at the list of some of the top hacking movies ever. 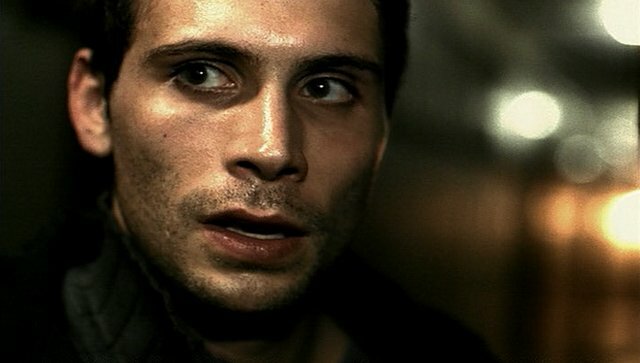 You can watch some of these best hacker movies on Netflix, Hulu, or Amazon Prime. ‘Paranoia 1.0’ is an engrossing, unconventionally entertaining tale of a computer programmer. The film’s title itself will pretty much get one into the right mindset. It has captured the corruption of mass media advertising through hypnotizing imagines and several overwhelmingly powerful performances. The music sets the mood perfectly adding a somber eeriness to the movie and the setting lends a discreet decrepit feel as well. It raises many uncomfortable questions, such as lack of corporate morality, passive consumerism and abuse of a person’s privacy. There are no easy answers and this film does not try to offer them. Back in 1995, ‘Hackers’ was an incredibly awesome movie got lots of love especially from computer and tech geeks. The film gears towards a teen audience, but has elements most can identify with, as computers have become such a big part of our lives these days. The story is of a group of young hackers who discover a plot to unleash a dangerous computer virus that forces them to use their computer skills to find the evidence as the Secret Service pursues them, and the evil computer genius behind the virus. Angelina Jolie’s character portrayal of “Acid Burn” is quite different from her other films. Even though the film is quite dated, it would be an interesting watch. Almost helmed by some as the most accurate hacker movie ever, ‘Blackhat’ is about a furloughed convicted hacker (Chris Hemsworth), who helps the FBI on a cybercrime case for a terrorist that has some elaborate plan to overheat coolant pumps in nuclear power plants so certain ones end up exploding for his own personal profit on the stock market. The plot meanders occasionally — and not in the interesting ways, Mann has done in the past — but this is still a far better thriller than its reputation suggests. Mann continues to take standard genre pieces and dress them up in unique ways. The action, fantastically shot and even a little intense in some sequences. By continually, contrasting the real with the digital this movie makes a standard techno thriller into something engagingly visional. ‘Snowden’ is a great movie that gives excellent insight into what drove Edward Snowden to give up his life to do what he believed was right. It tells the story of Edward Snowden (Joseph Gordon-Levitt) who is the hacker and computer engineer who works for the CIA. The movie goes back and forth between Snowden’s time with journalists and his life story. 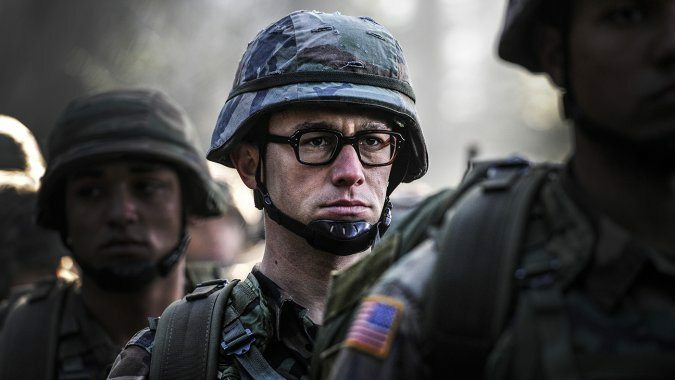 Joseph Gordon-Levitt does an outstanding job of portraying Snowden. Shailene Woodley puts in a multilayered, nuanced performance as Snowden’s girlfriend. It is a deeply engaging story with moments of genuine, uncontrived tension. Despite its shortcomings, this is still a very interesting piece of work and has great performances and a solid story. It is probably the best adaption we will get of Edward Snowden that allows audiences to understand the story better. 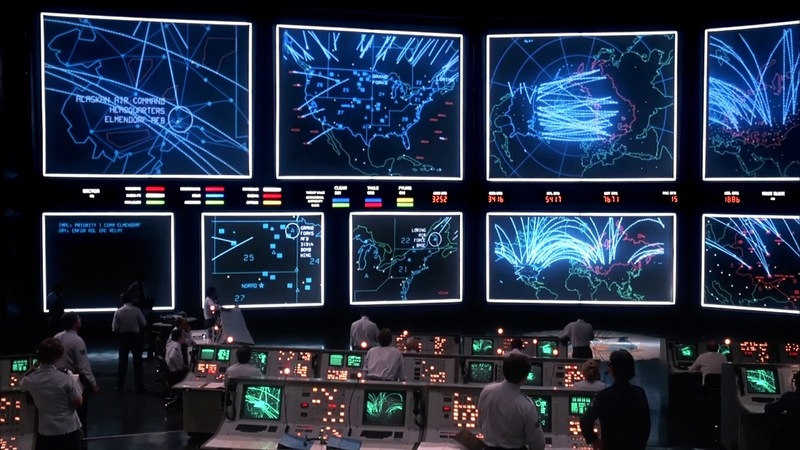 ‘Wargames’ is a good 80’s action film that deals with a kid hacking into the military defense computer and almost starting a war. However, it falls victim for the changing times. The massive sized computer and all the equipment would cause most of the laughs. The acting is great from Sheedy and Broderick who work well together as a couple. The story is decent and quite believable now in the age of hackers and supercomputers. The soundtrack has that special 80’s flavor and deserves special attention. It is great fun to watch it now, just to see how much computers have evolved. 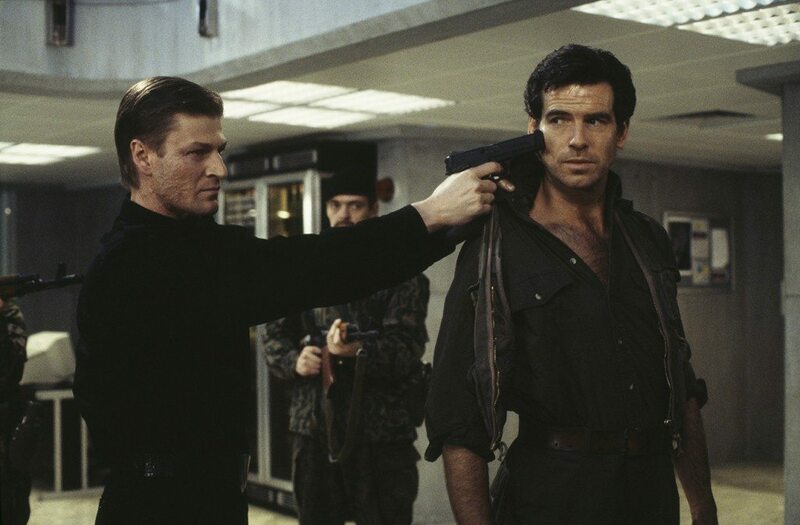 ‘GoldenEye’ is a classic bond film set in a new modern age. Everything from the new technology, a female M with Judi Dench, and the experimental soundtrack. This film does tone down the action set pieces for more spy-work. Not to say that there is not action. The villains are also interesting with some wonderful Russian accents. Nothing added without meaning, Campbell directs with such flair and with so much devotion to the character. It is a rare thing – a reboot that causes such a stir, audience preparing for more afterwards. It is suave, mysterious, breath taking and most importantly cool, and Brosnan fills the rather large boots of the iconic character well. Certainly one among the best in the series this one is an over-the-top action film that redeems the Mission: Impossible brand back to the escapist thrills provided by the original way back in 1996. Tom Cruise plays IMF agent Ethan Hunt, who this time must team up with a group of new IMF agents including Agent Jane Carter, tech expert Agent Benji Dunn, and an IMF chief analyst named William Brandt who seems to know all about Hunt’s past. Together, they must take on a Russian extremist, who plans to ignite another new nuclear war between the US and Russia. The thing that makes this movie so great is the fact that it takes the heart and humor of an animated film and the great action from a live action one and fuses them together. This heist/thriller film will have you blood pumping and it is a real crowd pleaser. ‘Live Free or Die Hard’ is quite a refreshing piece of entertainment in the wake of so many effects-driven computer simulated action/fantasy films. It contains just about everything that the three previous Die Hard movies had, and even a little more. Also for a Die Hard film it is remarkably clean — the fighting is stylized and clinical, not the feel of the other films. The slower, emotional scenes are the ones that really drag down the film the most. Nevertheless, it is stalwartly old-fashioned. Like its hero, it is a throwback to simpler times, a breath of fresh air in a season of bloated CGI extravaganzas. Top-notch and impressive, anyone looking for crazy action, entertainment or popcorn fun will enjoy this. Even though the computer stuff has gotten pretty out of touch, ‘Sneakers’ is a very enjoyable movie. Robert Redford, Sidney Pottier, Ben Kingsley, and Dan Aykroyd star in a movie about hackers before it was this much glamorous. It is a classic, for its notable quotes. It provides a fresh and witty look at the spy world and at the time presented an innovative view of what the internet could be like. The ensemble well cast, provide stellar performances all-around. The film incorporates ideals about the misuse of information but is not too pedagogic not to enjoy. It is also extremely clever, thought-provoking, and is more capable of sending a chill down your spine than most horror movies. 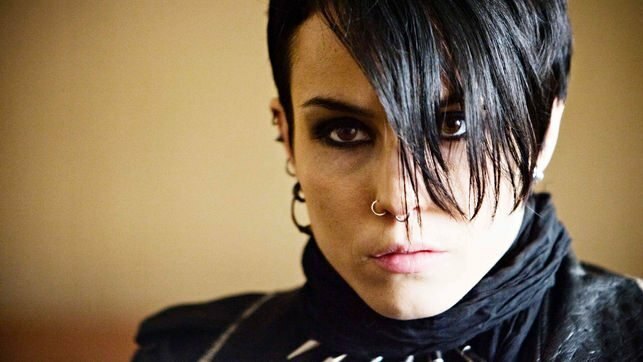 ‘The Girl with the Drago tattoo’ is a Swedish thriller that deals with a discredited journalist and a mysterious computer hacker discover that even the wealthiest families have skeletons in their closets while working to solve the mystery of a 40-year-old murder. It is all about sadists who find an inhuman pleasure by assaulting others physically and sometimes killing the victim. So effectively done is the portraying of the sadists in this film, that no one can resist abhorring those animals. Even if the mystery was somewhat interesting, the lead characters make this an entertaining watch. An excellent thriller and a must watch. 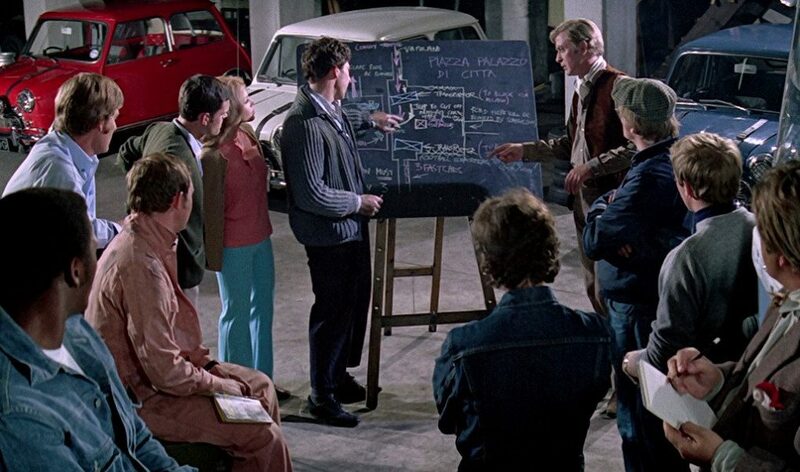 ‘The Italian Job’ is Michael Caine at his most likable as a con man who orchestrates a plan to steal $4 million worth of gold from a gridlocked Turin from under the noses of the mafia. The plot is a little thin by the standards of the modern heist movie, and the comedy a little too broad in places, but it has such a knockabout charm and swinging 60s style making it impossible not to like. Douglas Slocombe cinematography is still a wonder even after forty years. The musical score by Quincy Jones plays perfectly in the background. The pacing, a bit slow compared with modern heist flicks, but the dialog provides some of the best quotable movie moments of all time. 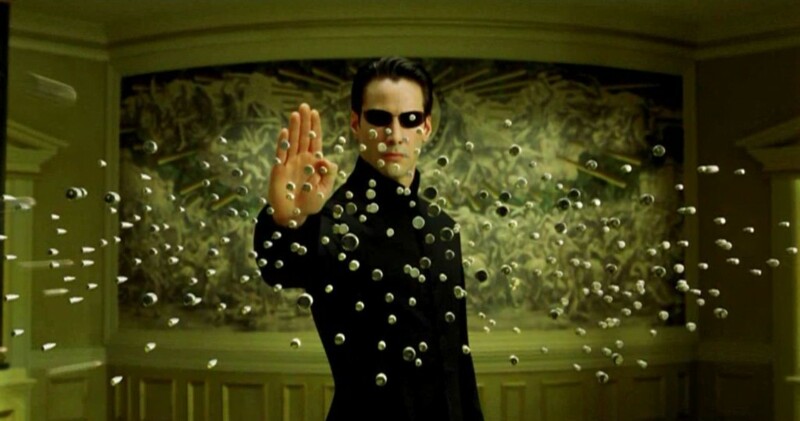 The Wachowski’s ‘The Matrix’ is in many ways a game-changer in the history of cinema. It is certainly one of the best sci-fi movies of all time, and most certainly the best hacker movie ever. What more do you want if you can hack into the human mind itself and that giving an enchanting cinema experience. Almost miraculously aged well, it is still an all-time favorite of many movie fans. A landmark film and quite possibly the ultimate expression of cyberpunk. It is a movie experience like no other, and it is all about that experience. It explodes with dazzling visuals and a transcendent sense of excitement. Ahh, Soory but a list of hacking and it doesn’t have the movie “Who am I” is an incomplete list. That movie is about freedom, System holes, Government scams. A film in which u know(not precisley) what will happen next but believe me it’s very entertaining. The movie will keep u charged start to end. I watched it in german only not in english, it is not the best but surely one of the bests.